The new medical school is consisting of three buildings that cost $334 million and include research, educational, and administrative facilities, as well as a medical office building and parking garage totaling 515,000 square feet. The University of Texas, Austin is the first top-tier university in decades to establish a new medical school. The Dell Medical School will develop novel approaches for teaching, patient care, and research that build on a vision to transform both medical education and health care delivery. It will tap into Austin’s technology and research communities to find new ways to both educate medical professionals and deliver health services. $1.1 billion was awarded to UT Austin in sponsored research over the past two years. $40 million over the past two years in revenue from the licensing of university technology. 189 grants of $51 million were awarded to UT Austin from the National Institutes of Health in 2013 with additional grants of $14 million in 2014. Connecting with this richly funded research market will help laboratory supply companies increase their brand recognition and get their supply products into University of Texas, Austin’s laboratories. The Annual BioResearch Product Faire™ Event provides an opportunity for laboratory supply companies to network with researchers at the University of Texas, Austin, and help researchers in the university work more efficiently. This year the BioResearch Product Faire™ Event is organized by Biotechnology Calendar, Inc. on September 17th 2014. The BioResearch Product Faire™ Event attracts about 190 research professionals from more than 20 on-campus departments or research buildings each year. All attendees are active researchers and life science professionals. With a new medical school in perspective, Biotechnology Calendar, Inc. is expecting a higher attendance rate in the next two years. If you are a laboratory supply company, the University of Texas is a desirable marketplace you cannot afford to miss. 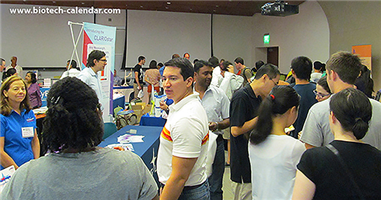 If you would like to demonstrate your lab supply products and services to Austin researchers at the BioResearch Product Faire™ Event on September 17th 2014, please click the button below to have more information about the event. 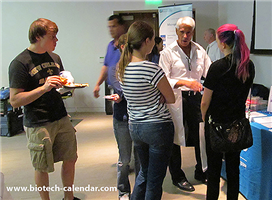 Biotechnology Calendar, Inc organizes other BioResearch Product Faire™ Events at different institutions across the nation. Please read: National Show Schedule for 2014.